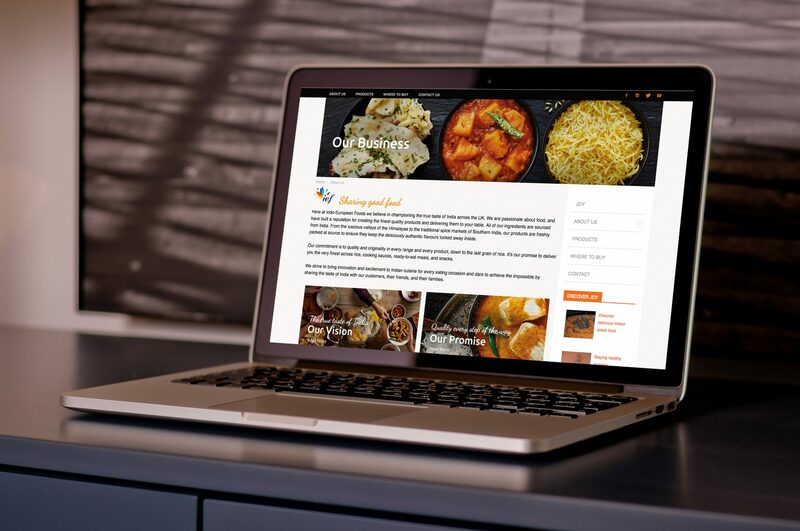 Following our rebrand and website redesign for Kohinoor Joy, Indo-European Foods, their parent company, soon realised they also needed a new corporate website, positioning the company along with all its brands including Kohinoor. IEF have a number of different brands and products within their portfolio, but at this stage no dedicated brand websites other than Kohinoor Joy. The aim was to provide an information based website about the company, its culture, values, and brands without being too corporate with relevance to their brand personas and operational management approach. The Kohinoor Joy and IEF websites are intrinsically linked. The creative design of the Indo-European Foods website also steered clear of an overly corporate site through animation, bright colours, food photography and a friendly tone of voice, in order to reflect both sides of the website.